Over the next few days strange energies will be bombarding the earth hell bent on disrupting the equilibrium of the current processes in place. This has been foreseen by us and will be addressed over the coming days but we ask you to stay strong. The energetic beings known as the Elementals ask that you ground yourself within their domain and use their energy to stop yourselves floating way with the current of energy that would have you act out of character. We the Seraphim ask that you stay strong in the coming onslaught and cover yourself in a mantle of the Highest Angelic energies that are flowing from the words being taken down by this medium. Stand tall. For the energies riding on the back of these current energy waves would wish to disarm you with their intensity. Know that this is just a front and they are using the true nature of this energy to throw you off kilter and into a tail spin of negative energy. See yourselves as the Beings of Light that your truly are. For you are so close to the first step into the light of a new beginning that has been foretold for so many lifetimes by us. Know that we the Seraphim ask that you allow yourselves to breath out the stress and anger that will be raising itself within you as these energies bombard the earth with their seeming overwhelming power. Stay in the power of the Divine. Anchor yourself to your inner knowing that the Light is stronger and that it can bring the world into balance very easily. For the Darkness would have you believe that it can tip the balance to the point of never returning to a way of the middle way. We the Seraphim ask you to be strong and to stand in your power. Many will be seeking you out after this wave has subsided and you will need to be ready. The Darkness has used every known means to throw you off your path and let you believe that you are not capable of bringing the light into the world that you have and are at this moment in time. 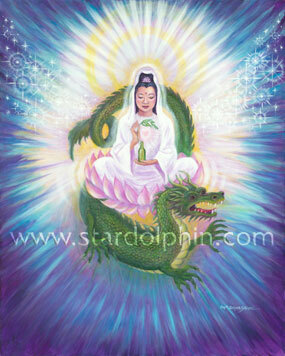 We ask you bringer s of light to allow this to flow through you and into the world at this time. Allow the angelic realm to join its energy to you and send though you protection and support for all who need it during this onslaught. Know that as always we ask you to ensure it is us who are joining with you and not a being of ulterior motives. If it does not feel right it is not right! Know we stand behind you every step of the way and if asked will stand before you and around you to dissipate the energies throwing you off balance. We are the Way the Truth and the Light! should be your battle cry in the coming days ahead. Know this to be true and in Christ’s energy and love you will walk always.